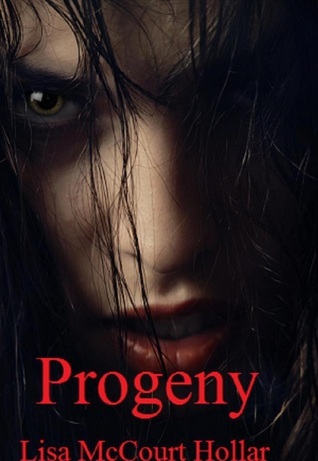 Another 5-Star Plus from Author Lisa McCourt Hollar, “Progeny” is a real hair-curler, don’t-look-behind-you-if-you-hear-noises type of Horror. Very unexpected revelations, denouement, and climax; I was looking for a standard vampire tale and believe me, that is not “Progeny.” My recommendation is run, do not walk, to your nearest bookseller outlet and get this one if you haven’t already. If you have it and haven’t yet read it, then drop everything and read it. Ms. Hollar not only knows Horror, she knows her Early American History and sets the scene in what proves to be a very special, and most astonishing way. I will say no more to preserve the plot and its secrets-but rest assured, this is another not-to-miss story. I gobbled this short story up in no time! Well written and enchanting, this haunting story seduces and chills at the same time! Can't wait to read more of what horrible plans Tiberius has in mind! Lisa McCourt Hollar - A mother to 4 kids and a wife, I started out writing children stories for my children. My daughter Rylie has inspired a series I am working on called, Sandbox Adventures and helped write 2 of my children's stories, Emma Learns The Truth and Tabby's Haunted House. The cover art even contains her image.I also write horror. I love creating twisted tales with a spin on them and a dash of humor. No one expects the evil creature to be a goldfish, but in Sam I did just that, creating the worlds first zombie goldfish. For something so small, he manages to cause a lot of chaos.At 41 I have decided it is time for me to stop waiting to be discovered and am making my own destiny as an independent author. I hope you enjoy this journey with me.